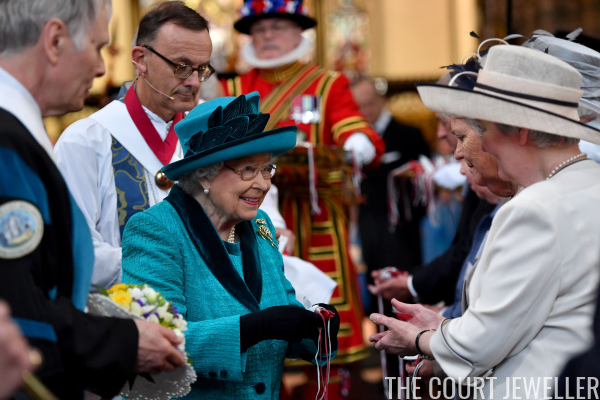 The Queen made an unexpected jewel choice for the service, wearing the Botswana Sorghum Brooch. 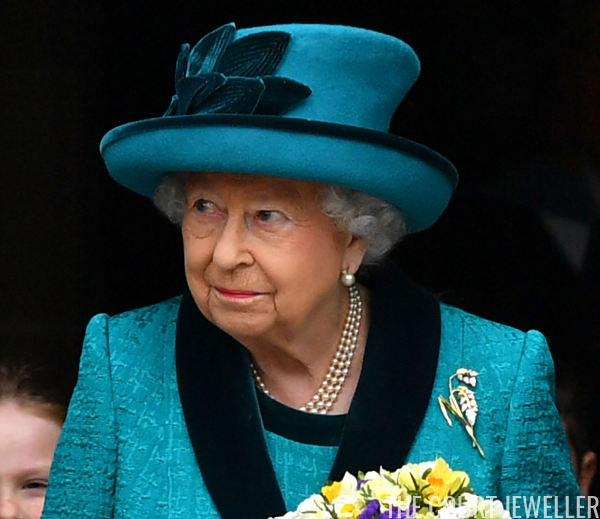 The delicate gold and diamond brooch was given to the Queen by the President of Botswana in 2007. She wore the brooch in public for the first time in 2014, and one of its most recent outings was at Royal Ascot in 2015. Sorghum is a cereal grain, and one of Botswana's most important crops. Perhaps, as Maundy Thursday is a commemoration of the Last Supper, the Queen and Angela Kelly were drawing a connection to the event itself with this particular brooch? 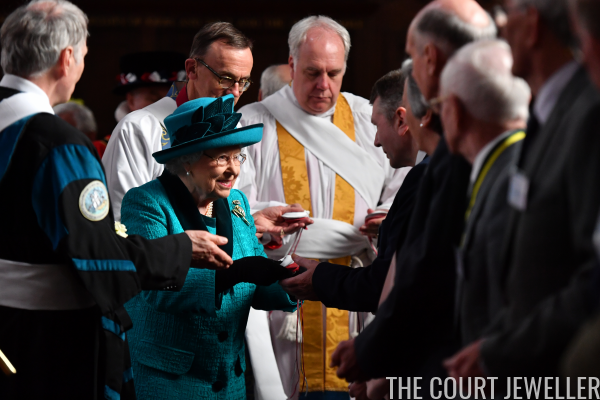 During the service, the Queen distributed bags of Maundy money to 91 men and 91 women who had been chosen for their important acts of service to their communities. The tradition of distributing symbolic alms has existed in various forms since the seventeenth century, and it comes from Jesus's command (or mandate) at the Last Supper that his apostles should take care of one another. 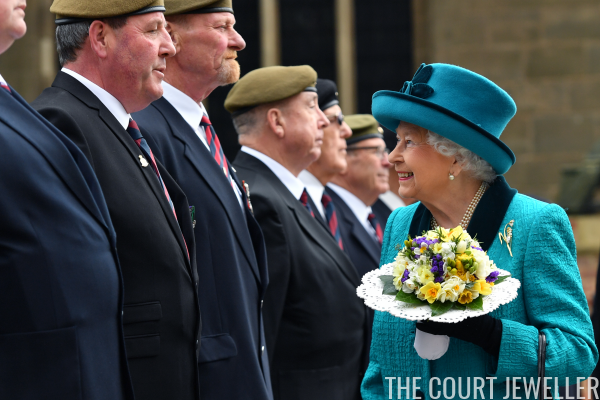 For more on the Royal Maundy service, and a look at the brooches the Queen has worn at the service throughout her reign, check out our earlier post from today.